Name of the couple : Amritpal Kaur & Lakhwinder. 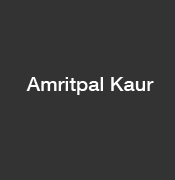 Profile of the victims : Amritpal Kaur 18, & Lakhwinder both were the residents of Belgium. Amritpal kaur belonged to Jat sikh Family while Lakhwinder belonged to a lower caste family. They were in love which was unacceptable to her step father who was the brother of her real father. Place of Murder : Amritsar Punjab. The suspicion aroused, when Amritpal was cremated hurriedly in a clandestinely manner by her step father Mehtab Singh. The matter was reported to police by the close family relatives. But Mehtab Singh has willfully destructed all the circumstantial evidence of crime with the early cremation of Amritpal Kaur, since no autopsy was carried out, even the mortal remains were swiftly disposed of to erase all kind of proof”, said Sharma.